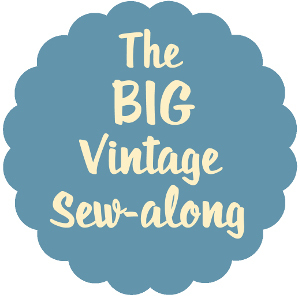 I was looking for something relatively easy to make for K’s Christmas present – his Mum has given me a great idea for a present I can work on for his birthday, but I needed something that would be a faster make for Christmas! 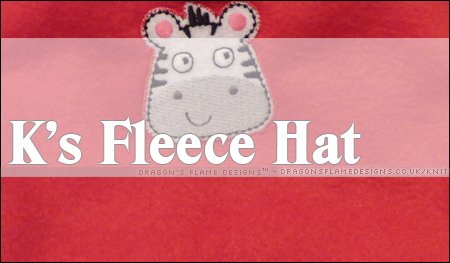 Enter the free Fleece Hat pattern from Fleece Fun – not only was it useful to make my own hat, but it has sizes all the way from baby to extra-large adult! 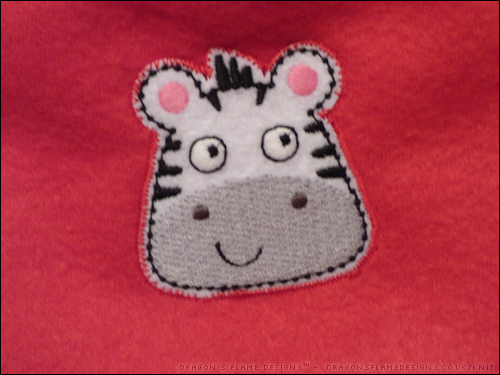 I found just over half a metre of red fleece in my local fabric shop, along with a cute zebra iron-on patch just to liven it up a little. I did modify the pattern slightly, making the hat a little longer than it’s meant to be, to allow for the brim to be rolled for a snugglier fit. I wasn’t too confident at how the patch would iron on (there weren’t any instructions on it), so I zigzag stitched around the outside just to ensure it would stay in place. Hopefully we’ll get some seasonal cold weather, so K has an excuse to wear it! This entry was posted in Clothing, Sewing and tagged fleece, hat, present on December 24, 2016 by Sewist. 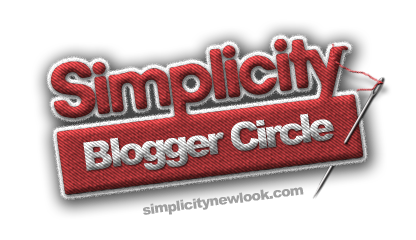 Shock horror – it actually fits! 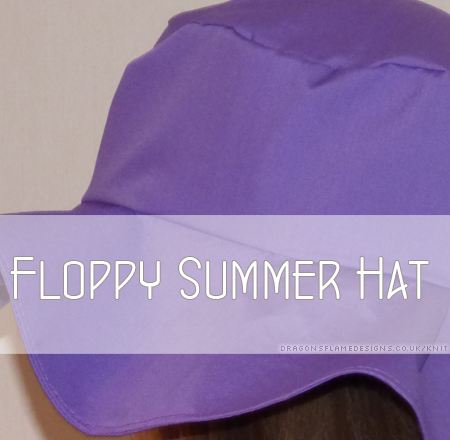 I had fully expected this floppy sun hat to also be a flop, but much to my utter amazement, it actually came out better than that! Luckily for me, my head measurements are identical to the person who wrote the pattern, so there’s no maths involved. 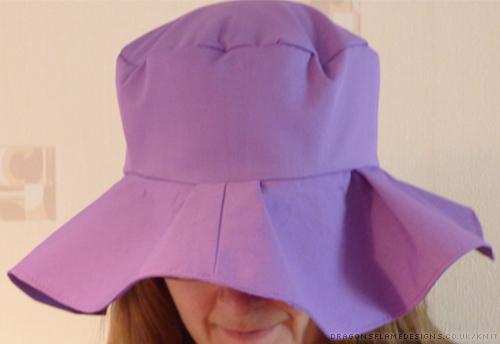 I bought a metre of purple polycotton and some heavy iron-on interfacing (the previous hat pattern used sew-in interfacing which I found was too easy to rip as I turned the brim out). 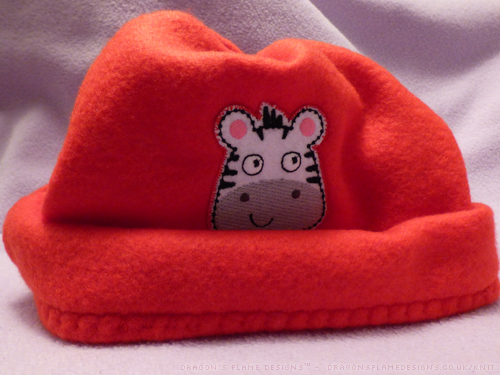 So far so good; the hat only cost me about £5 in supplies, but now comes the hard part – the sewing! 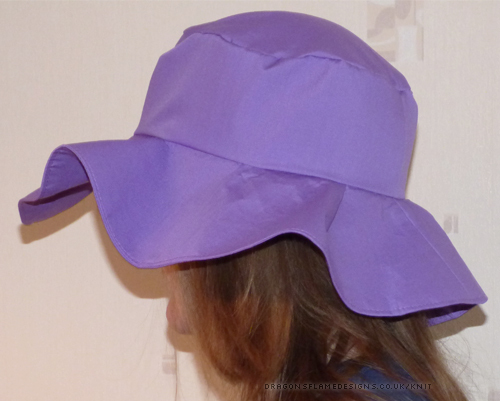 The lining is sewn more like an interlining for this hat – the seams are visible on the inside. That was great practise for faux overlocking, as the standard zigzag foot results in a tunnelling effect when I use it on the fabric edges. Attaching the brim was an interesting process, as I had to add in a few pleats to make it fit…. 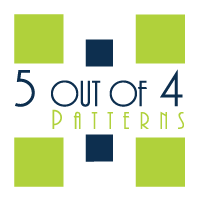 but that was actually part of the pattern, so I didn’t feel I had made a mistake there. I chose to add a bias binding trim over the faux overlocked seam edges where the main hat piece meets the brim – it’s not something you should be able to see, but it should stop the seams irritating my forehead! 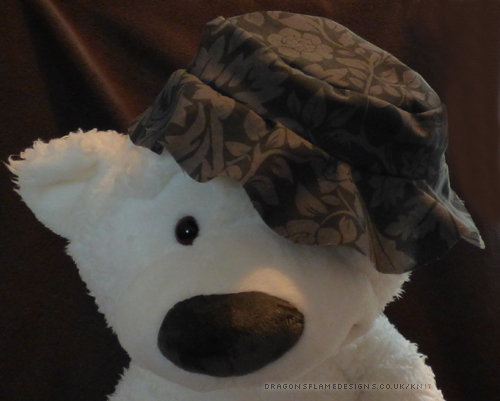 This entry was posted in Clothing, Sewing and tagged #success, hat, sewing on July 26, 2016 by Sewist. Father’s Day Hat…. that also didn’t fit! I was struggling for something to get my Dad for Father’s Day last month – I’d asked him if there was anything he was particularly wanting, and was told “surprise me”…. not all that helpful! I made a pattern from newspaper, bought the outer and lining fabric, and started pinning it together. After sewing the crown to the main front of the hat, I asked Dad to try it on…. and of course it was too small. However, it did fit me! So as I couldn’t make the hat any larger without starting from scratch, I decided to stick with the hat and make it for myself instead. I was almost ready to attach the brim when another relative asked to see it, and suggested that the main part of the hat was too tall. Cutting that down by a couple of inches, I pinned the brim to the hat and it still fitted me. Buoyed on by my apparent success, I then machine stitched the brim to the hat, and guess what? Yeah, you guessed it – the hat’s now too small (ironically, it’s not tall enough over my ears now). 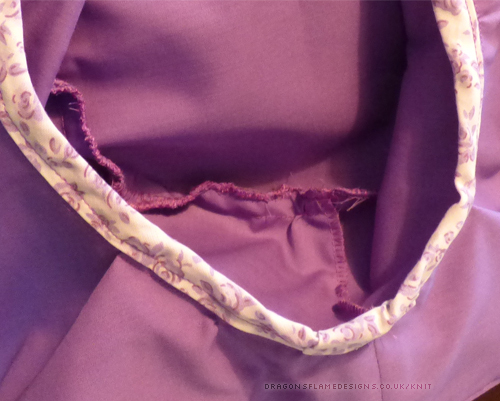 I tried hard to stick to a really narrow seam allowance and it was pretty even all the way around. All I can think is that the original measuring is out a bit and maybe also the cutting. 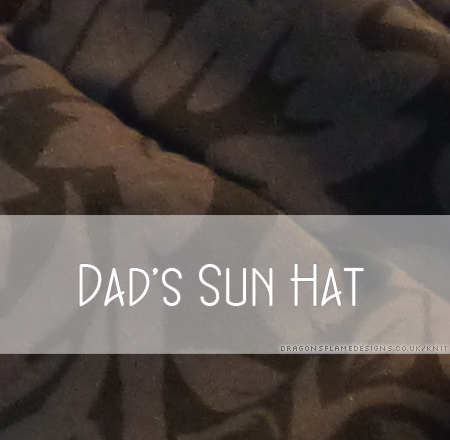 I will try another hat for Dad before the end of the summer, but I think I will try a polycotton version first, rather than just diving in with the decent fabric next time! 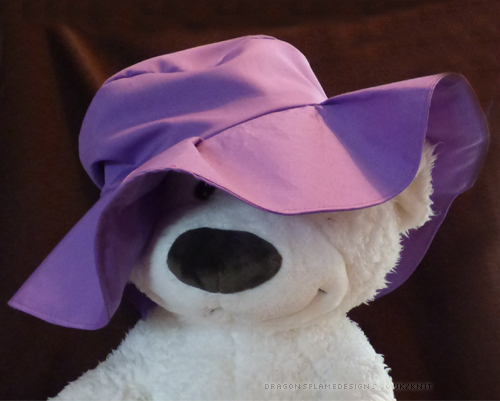 This entry was posted in Clothing, Sewing and tagged #fail, hat, sewing on July 19, 2016 by Sewist.